Keeping the bags hanging makes it easy to organize and store them. And because firearm evidence is stored in bags, it takes up less space. But without the racks, you’ll have a much harder time managing the bags. 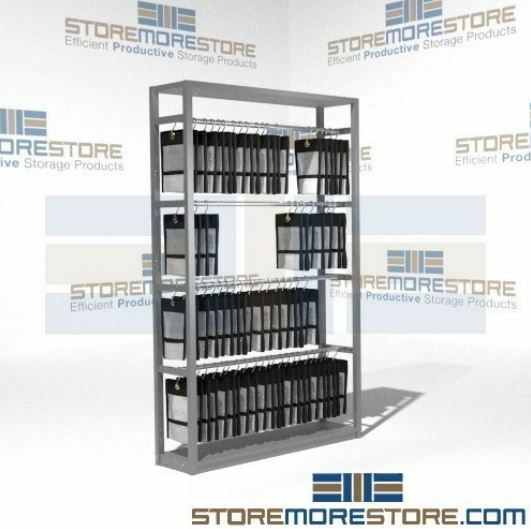 The racks are adjustable, allowing you to customize your storage to fit your needs. Also, the firearm evidence storage racks are easy to assemble and move for when you need to make a change. 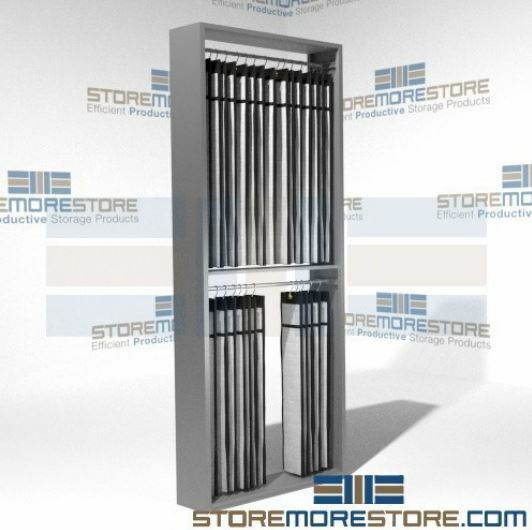 The firearm evidence storage racks have adjustable rod assemblies for the various sized hanging rifle and handgun bags. (Find hanging bags online here.) The bags easily hook onto the rods similar to a clothing hanger. And with several sizes of firearm evidence storage racks available, you’re sure to find exactly what you need for your property room. hanging rods are adjustable on 1.5″ centers. front bottom kick plate base. open or closed vertical side panels. 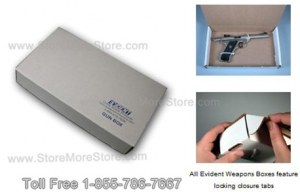 You’ll find every style and size of firearm evidence storage racks at our online store here. 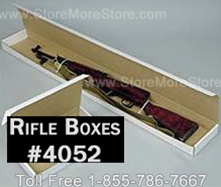 We also have the rifle and handgun bags, if you need those too. And as always, we are here to answer any questions you might have or provide assistance in picking out a rack for your property room. Just give us a call at 1-855-786-7667.